An en-suite bathroom is something you never knew you wanted but very soon can’t live without. The convenience of an en-suite provides you with your own personal bathroom, and avoids the queues for the main bathroom of the house on a morning. In short, it makes life easier for everyone and provides you with the personal indulgence and the lifestyle enhancement that you deserve. Whether an en-suite is a pleasant and welcome extra in a home or an essential feature, it is not always possible, simply because of space. Adapting an existing home to fit an en-suite can be impractical for many reasons, but often space is the limiting factor. But then you can easily overestimate what little room you actually need for an en-suite, and often just a few critical inches are what makes all the difference. 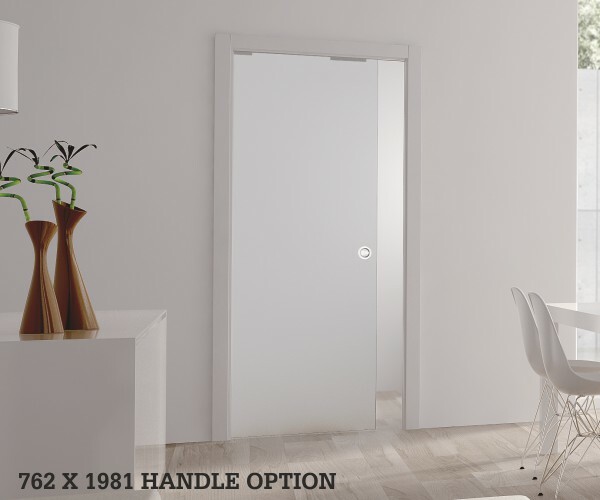 In many situations where you are making changes to the domestic abode, the pocket door can come to the rescue and make the crucial difference between going ahead or not. For an en-suite, of course you need room for a wash basin, a toilet and ideally a shower. In many cases the deciding factor is the few inches of space that a pocket door saves you compared to a traditional hinged door. With the pocket door opening into the wall recess rather than swinging into the room, you now have more space to play with and can fit the main features of an en-suite without too much trouble. Even if you do have the luxury of space, a traditional hinged door can still be restrictive and unnecessary; a somewhat superfluous feature that really just gets in the way. In comparison, a pocket door is neat, unfussy and a stylish, contemporary feature that can quickly become an essential item around the home. Pretty soon you will wonder what changes you can make elsewhere in the house, and the pocket door truly is the key to unlocking the potential in your home. Our range of pocket doors are adaptable to different wall thicknesses and come complete with all parts ready for easy installation. You might also consider a glass pocket door for an en-suite, with a frosted/satin opaque effect that allows for suitable privacy, but also provides the light and airy feel you want in an en-suite, particularly as, in most cases, it is a relatively small room. You can decide on a frameless system and we can also offer made-to-measure kits that often come into play when you are adapting an un-used space for an en-suite, which doesn’t necessarily conform to standard sizes and measurements. So take a look at our pocket door options today and make the step that could bring a whole new dimension to your home and lifestyle, and use the pocket door to deliver the en-suite that you always dreamed of.